Despite temperatures in 30's without the wind, a nice crowd showed up for the 15 minute ceremony. Yes, it was cold!!!! Sorrelli had their Grand Opening Celebration the night before. The timing was well planned and rode the momentum. Minuteman Press, thankfully!! !, had coffee available. 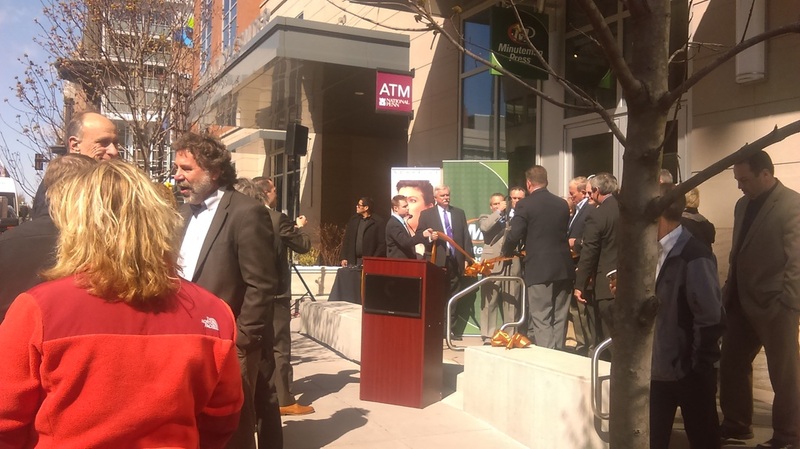 With a few surprises, pretty much everyone left fairly quickly after the ribbon was cut. Congratulations to Minuteman Press and Sorrelli for the opening. Wishing both stores much success!